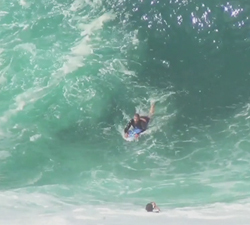 On a recent trip, pro bodyboarder Akemi Saito flew from Hawaii to Fernando de Noronha island to hunt down some waves. 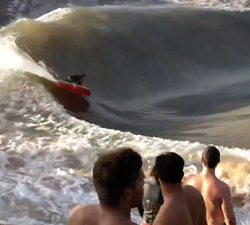 Keiki Shorebreak December 2013 – Andre Botha – Seabass Perez – Jacob VanderVelde – Tharin Rosa – Jr Maosi. 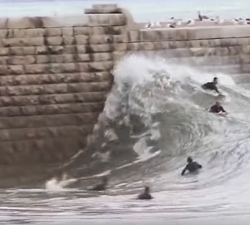 Some wall riding wedge action with Bruno Dias, shot at one of Portugal’s favorite novelty breaks! 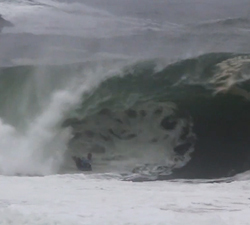 Brazilian charger Leo Leite scoring some bombs all over Indonesia. Brought to us by João Ricardo Images. 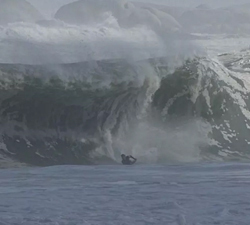 Highlights from Day 4 of the 2015 Itacoatiara Pro in Brazil, featuring some of the biggest, heaviest waves ever contested in. 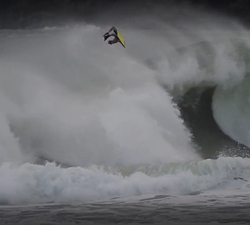 Neels Smit (Vivid Zeal) and Greg Fraser have put their goods together to provide you with this mini web movie. The Pride Bodyboards team embarks on a journey through the relatively rare and unseen elements of Tahiti.